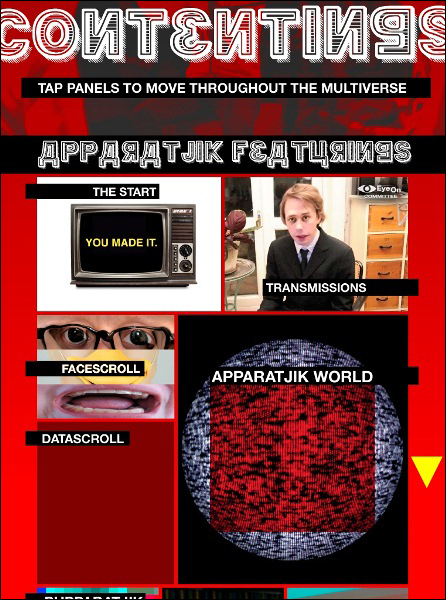 Apparatjik has released a magazine for the iPad, which contains performance videos, photos, fan art, interview clips, links to external press, interactive games – and a brand new full-length Apparatjik album! As far as we know, this marks the first time an artist has released an album embedded within the iPad magazine format. The magazine is called ‘Apparatjik World – Issue A’ and it was released on 11/11/11. It is available for free in iTunes stores worldwide. The new Apparatjik album is called ‘Square Peg in a Round Hole’, and is currently only available commercially via the iPad magazine. 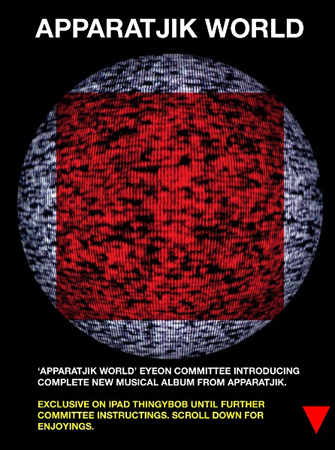 However Apparatjik fans who planted a tree as part of the agreeneryouniverse project were given a free download of the album via e-mail on 11/15/2011. If you are not one of the ones who planted a tree or who own an iPad, don’t worry – there will be a wider release of the album in more formats in due course. We also understand that the version of the album on the iPad is not necessarily the final version.